Why does my business need commercial-grade TVs? Won’t regular TVs work? Resellers often get this question from prospective clients when asked to spec and install TVs for the retail industry and restaurants ranging from sports bars to fast food favorites. It’s not just for retail and goods giants though, as other types of businesses including hospitality, healthcare and more have asked the same great question. 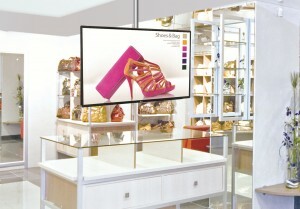 And the answer usually convinces the business owner to go with purpose-built commercial-grade displays. Commercial-grade displays are designed to provide continuous entertainment and information in public environments, and often harsh conditions, with no down time. LG uses commercial-grade components which are designed to prolong the life of the display—with key considerations such as heat, dust and humidity all playing a role in the build quality. Conformal coating is a thin protective chemical coating or polymer film that is topically applied to circuit boards. It is designed to protect electronic circuits from harsh environments that may contain moisture, heat and other contaminants known to harm circuit boards. When applied, this breathing coating “conforms” to the circuit assembly, filtering water vapor and solid debris. All LG commercial displays are engineered with conformal coating. The International Electrotechnical Commission (IEC) has developed IP, or Ingress Protection ratings, to define the degree of protection a specific enclosure provides. This rating measures external influences that come in contact with an enclosure from any direction. LG’s 42LS75A-5B and 49LS75A-5B displays have passed the rigorous dust ingress test to receive their exclusive IP5X certifications for dust-proofing. They have complete protection against contact and are made to resist dust buildup, which means better performance and less heat generation. Not only is the construction of an LG commercial-grade display superior to that of competing models, and a better choice for all kinds of businesses than a consumer-grade television, the back-end infrastructure allows businesses to post their own content with ease too. While it’s true that we make amazing consumer products, and that’s a great way to earn your business, we’d rather help you take your positive experience with our home-based products and turn it into a reason to elevate your business with our commercial-grade displays. Like the best and most reputable businesses out there, work with us and you’ll see why the pros use pro gear to help move business forward.